Question 13: All of you believe in God; I believe in Marx and Lenin. My specialty is research of various religious beliefs. Through many years of research, I have discovered a problem. All religious belief holds that there is a God. Yet of all the people who believe in God, none has ever seen God. Their belief is based solely on their own feelings. I therefore have reached a conclusion about religious belief: Religious belief is purely imaginary; it is superstition, and has no basis in science. Modern society is a society in which science is highly developed. Everything must be based on science in order for there to be no mistakes. We Communist Party members believe in Marxism-Leninism. We don’t believe that there is a God. How does The Internationale go? “There has never been any Savior of the world, nor deities, nor emperors on which to depend. To create humankind’s happiness, we must entirely depend on ourselves!” The Internationale clearly states “There has never been any Savior of the world.” The reason that the human race in the past believed in God and practiced superstition is mainly because human beings at that time, facing such phenomena of the natural world as the sun, moon, and stars; wind, rain, thunder, and lightning, had no way to produce a scientific explanation. Hence, fear and wonder arose in their minds about supernatural powers. Thus the earliest concepts of religion were formed. Also, when humans could not solve such difficulties as natural disasters, and disease, they hoped to attain spiritual comfort through respectfully making obeisance to God. This is how religion came into being. Obviously, this was not rational, and it was not scientific! Nowadays, the human race has advanced, and science is flourishing. In such fields as the aerospace industry, biotechnology, genetic engineering, and medicine, the human race has made considerable progress. In the past, human beings did not understand, and had no way to solve many problems. Nowadays these problems can all be explained through science, and science can be relied on to provide solutions. In this age of developed science and technology, if people still believe in God, is this not foolish and ignorant? Wouldn’t such people be left behind by this age? The only practical thing is for us to believe in science. Answer: You say that religious belief is due to humans lagging behind in scientific knowledge, and is formed from fear and wonder in the face of supernatural powers, and that it is superstition. This argument is incorrect, and is unfounded. Religious belief and the feudal superstition of which you speak are two entirely different things. You Communists condemn and ban religious belief under the pretense of opposing feudalistic superstition. This is absurd. Of the main world religions, Judaism, Catholicism, the Eastern Orthodox Church, and Christianity believe in God and in the Lord Jesus. Only this is authentic religious belief. Three thousand years ago, the work of God during the Age of Law gave rise to Judaism. A long time ago, the Israelites heard the voice of God, and they knew the name of God. All along, they prayed to Jehovah God, observing all of the laws and commandments proclaimed by Jehovah. They all worshiped Jehovah God. We may therefore ascertain that Judaism came into being because of the work of God during the Age of Law. When the Age of Grace arrived, God became incarnate as the Lord Jesus, and began to work. He accomplished the atonement for the human race when He was crucified. Ever greater numbers of people professed belief in the Lord Jesus, and the church of the Lord Jesus was formed. With the passage of several hundred years, Christianity, Catholicism, and the Eastern Orthodox Church evolved. They are the largest religions in the world. All of them formed because of the Lord Jesus' work of redemption. Almighty God of the last days has expressed truth and done judgment work, and has conquered and saved people of various sects and factions. People who sincerely believe in God have heard the voice of God, and come to pledge allegiance at the throne of God. Thus The Church of Almighty God came into being. These facts suffice to show that religious belief was produced completely from God's appearance and work. God's appearance and work is verified by the life experiences of countless Christians. No force can topple or ban the church of God or God's chosen people. This is fact. Since the beginning of human history, God has been at work guiding human beings, redeeming the human race, and saving the human race. The appearance and work of God leads the entire human race to grow forward. These facts cannot be denied by anyone. You specialize in research of religious belief. You should understand these things. Why do you distort historical facts, saying that religious belief is a product of an ignorant and backward human race? Aren't these statements rather absurd? You have studied religious belief for so many years. You are not even able to distinguish between feudal superstition and religious belief. This illustrates that you really don't understand religious belief. Nowadays, more and more people believe in God. The number of believers exceeds one-third of the world's population. Many of the world's greatest scientists have been Christians, for instance, Newton, Galileo, Copernicus, and others. Would you say that these people were superstitious, and did not believe in science? Science can produce some results in research of the material world, but it is powerless to explore and study the spiritual realm. Our belief in God is not based on science. Rather our belief is based on the words and work of God. The Holy Bible is the witness of the work of God, and it is a historical record of the human race's experience of God's work. Prophets in the Bible predicted thousands of years ago what would happen in the last days. These prophecies have basically all come true, which suffices to show that God's appearance and work is real, Amen! and that it is God who rules the human race, and who rules the entire universe. No one can deny these facts. You say that because people cannot see God, God does not exist. So, when you burn imitation money and kowtow at the ancestral tablet of the deceased, do you see the soul of the dead person? In seeking evil spirits and psychics to tell fortunes, can you see the realm of departed spirits? If not, then why do you burn imitation money, kowtow, practice divination, and tell fortunes? You repeat over and over again that God does not exist, and preach atheism on a large scale, but privately, however, you believe in fake gods, and worship evil spirits. Isn’t this action of yours telling lies and deceiving the people, duping the people? You plainly see that the words and work of the true God are truth, and that they bring to the human race light and salvation, yet you obstinately deny, resist, and oppose human beings' belief in the true God under the banner of atheism, wildly suppressing religious belief, and ruthlessly persecuting Christians. Ultimately what problem is this? God is Spirit; though people cannot see God's spiritual body, they can hear God speaking words, and can see the work of God. This is a fact that is absolutely true. For thousands of years, God has been speaking, guiding the human race, saving the human race, and ruling the fate of the human race. God has also revealed many deeds. Humans’ experience and practical knowledge of these things gave rise to many proverbs, such as “Trust the will of Heaven,” “Man proposes, God disposes,” “Humans may sow the seed, but the harvest depends on Heaven,” “Heaven always provides a way,” “Heaven’s plans supersede our own,” “Mans fortune is written in the stars,” etc. All of this proves that there is a Ruler who is managing and arranging all the human world, leading, blessing, and nurturing this human race. 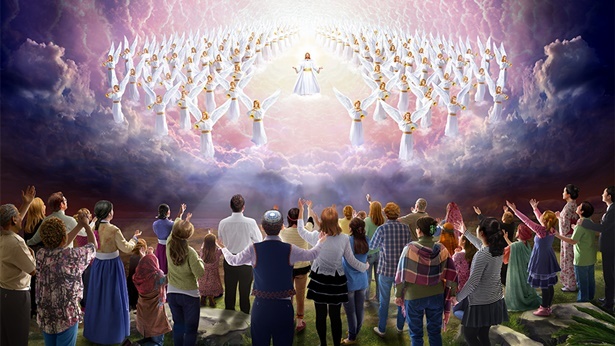 There are also the oft-heard sayings, “There is a spirit watching right above your head,” “As people act, Heaven watches,” and “What goes around comes around.” This all shows that God is the Lord of creation, and that God has been ruling over all things all along. God’s Spirit keeps watch over all. God metes out retribution according to people’s actions, and decides the fate of human beings. You say that because no one sees God, God does not exist. This point of view is incorrect! Have you sought the appearance and work of God? 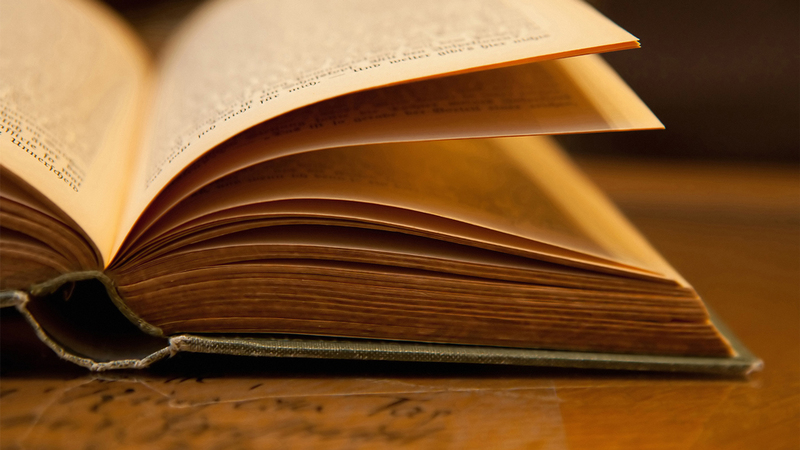 Have you read The Holy Bible, and The Word Appears in the Flesh? The Bible says, “In the beginning was the Word, and the Word was with God, and the Word was God” (Jhn 1:1). Though human beings have not seen the Spirit of God, they can hear the voice of God, can see the words expressed by God, and can experience the actions of God for themselves. Over the millennia, God has done three stages of work. In Israel, He did the work of the Age of Law, proclaiming His laws and commandments to the people of Israel. In the Age of Grace, God incarnate did the work of redemption. The sins of countless people were forgiven through their belief in the Lord Jesus. They lived in God's presence and enjoyed the peace and happiness that God gave. In the Age of Kingdom, God has been incarnated again, and expresses truth to do the work of judgment, purifying people, and saving people. God has done so many things. How can people not see this? How can people still make irresponsible remarks, claiming that God does not exist? We don’t only rely on eyes for our belief in God. The main basis of belief is the appearance and work of God. God incarnate has said very many words. The words of God are completely different from those of people. No person could say such words. The words of God have authority and power. Every day they come true, and are being fulfilled. Every stage of God’s work saves many people, bringing them to face God, allowing them to see that God exists and to know God’s disposition. For these reasons more and more people turn toward God. How can it be that you are unable to see this actuality? I will share with you a few passages of Almighty God’s words. 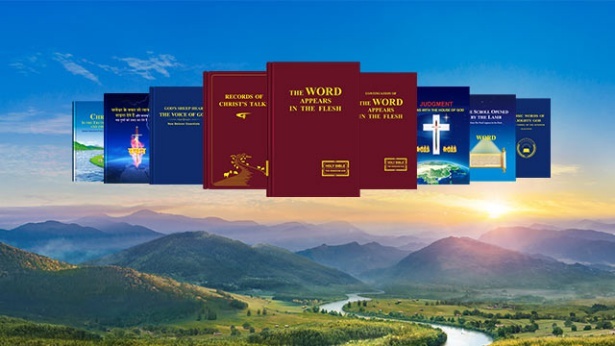 When you have heard the words of Almighty God, you will better understand the facts of God’s universal creation and sovereignty over everything. “Since the day man came into existence, God has been steady in His work, managing this universe and directing the change and movement of all things. Like all things, man quietly and unknowingly receives the nourishment of the sweetness and rain and dew from God. Like all things, man unknowingly lives under the orchestration of God's hand. The heart and spirit of man are held in the hand of God, and all the life of man is beheld in the eyes of God. Regardless of whether or not you believe this, any and all things, living or dead, will shift, change, renew, and disappear according to God's thoughts. This is how God rules over all things” (“God Is the Source of Man’s Life” in The Word Appears in the Flesh). “Though humanity does not admit that God exists, does not accept the fact that the Creator made and has dominion over everything, and moreover does not recognize the existence of the Creator’s authority, human scientists, astronomers, and physicists are finding more and more that the existence of all things in the universe, and the principles and patterns that dictate their movements, are all governed and controlled by a vast and invisible dark energy. This fact compels man to face up to and acknowledge that there is a Mighty One in the midst of these patterns of movement, orchestrating everything. His power is extraordinary, and though no one can see His true face, He governs and controls everything at every moment. No man or force can go beyond His sovereignty. Faced with this fact, man must recognize that the laws governing the existence of all things cannot be controlled by humans, cannot be changed by anyone; and at the same time man must admit that human beings cannot fully understand these laws. And they are not naturally-occurring, but are dictated by a Lord and Master” (“God Himself, the Unique III” in The Word Appears in the Flesh). Previous：Question 12: According to the government's propaganda materials, The Church of Almighty God was founded by someone named Zhao in northeastern China. This man is the high priest of The Church of Almighty God. He is leading the Church. Believers of The Church of Almighty God claim that he is someone used by the Holy Spirit. They often listen to the preaching of this person who is used by the Holy Spirit, and they listen to him in the administrative work of the church. 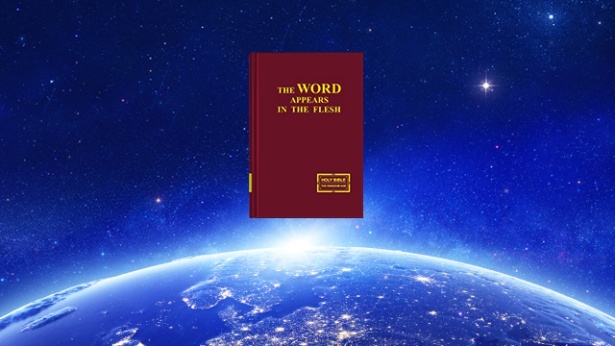 Although you believers of Almighty God read the word of Almighty God, pray in the name of Almighty God, regard The Word Appears in the Flesh expressed by Almighty God as canonical doctrine, and communicate the word of Almighty God in your congregation, in any case, this person is the one who has the final say in The Church of Almighty God. So we are certain that The Church of Almighty God was created by this person. Both the CCP and the religious community characterize The Church of Almighty God as an organization of man. I think it is true. Do you understand this? Next：Question 14: In your belief in God, you all have your own ideas and opinions. It seems to me that your ideas and theories are feelings of subjective consciousness, and are of the illusory category of things. We Communists believe that materialism and the theory of evolution are truth, because they are in accord with science. Our country comprehensively provides materialist, evolutionist education from elementary school through university. Why is this? It is to imbue all young people and teenagers with atheist and evolutionist thinking from an early age, so that they all stay away from religion, and stay away from superstition, and so that they can scientifically and rationally explain all questions. Take, for example, the question of the origin of life. People in the past were ignorant and backward, and believed such stories as Pangu separating heaven and earth, and Nüwa making humans. As for Westerners, they believe that God created the human race. In fact, all of these are mythology and legend, and are not in accord with science at all. Ever since the appearance of the theory of evolution that explained the origin of the human race clearly, how humans evolved from apes, the theory of evolution has thoroughly invalidated the legends of God creating man. All things have evolved naturally. This is the only truth. Therefore we must believe in science, and in the theory of evolution. You are all educated, knowledgeable people. How can you go and believe in God? Would you be able to chat about your views?